Last week, my Yorkshire Terrier, Lily, turned three years old. It seems crazy to me that she's three - I cant believe she's been in my life for that long, but I also can't remember not having her in my life! She isn't my first dog - we had a pug named Belle when I was little - but I feel like it's different to have a dog as an adult. I should start by acknowledging that I live with my parents, so I'm not taking care of Lily all by myself, which is a big help. Also, since I'm in a wheelchair, there are things that I can't do, like pick up her poop... which I'm definitely not complaining about. A few years after Belle died, I had graduated college, was living with my parents, and decided I was ready for another dog. My parents weren't ready, though - they were enjoying the freedom that comes with not having to schedule everything around your dog! But about a year after I graduated, I was actually involved in a bad car accident as a pedestrian, broke a lot of bones, and ended up in the hospital for three weeks, with a long recovery at home after that. 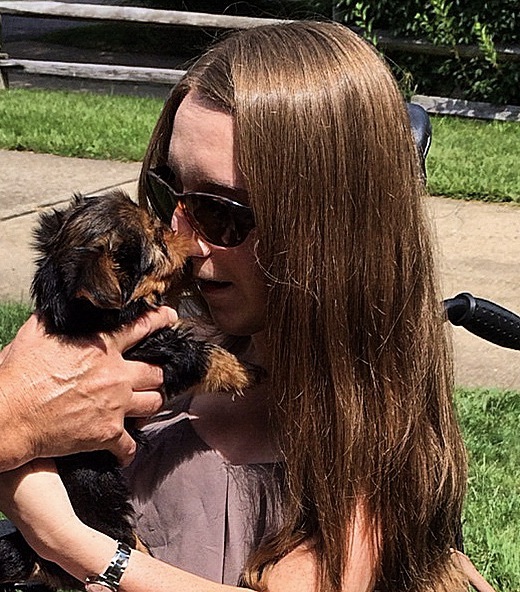 When I was little, I had to be hospitalized a few times with pneumonia, because of my SMA. My parents would always get me a little gift when I was in the hospital, like a stuffed animal from the gift shop, to make me feel better. After my accident, when my mom asked me what I wanted, I immediately said a dog. And apparently, it's really hard to say no to someone who just got hit by a car! I know that I wanted a Yorkie, because I wanted a dog that was small enough to sit on my lap. 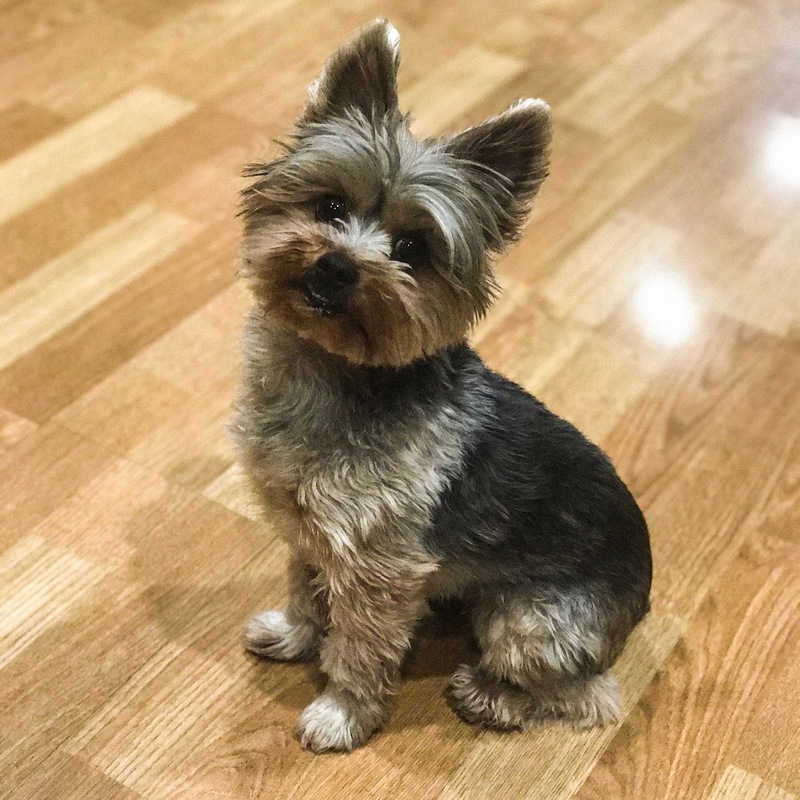 It took more than a year to find a puppy that was the right fit - there were never any Yorkies in shelters, so I looked for breeders, and I wanted to make sure it was a legitimate breeder, not a puppy mill. I finally found a nearby breeder who had just had a litter of puppies right before I went to the beach for vacation. I was excited the whole time we were away, but I was also really nervous that something was going to happen and it would all fall through - I had been waiting so long! 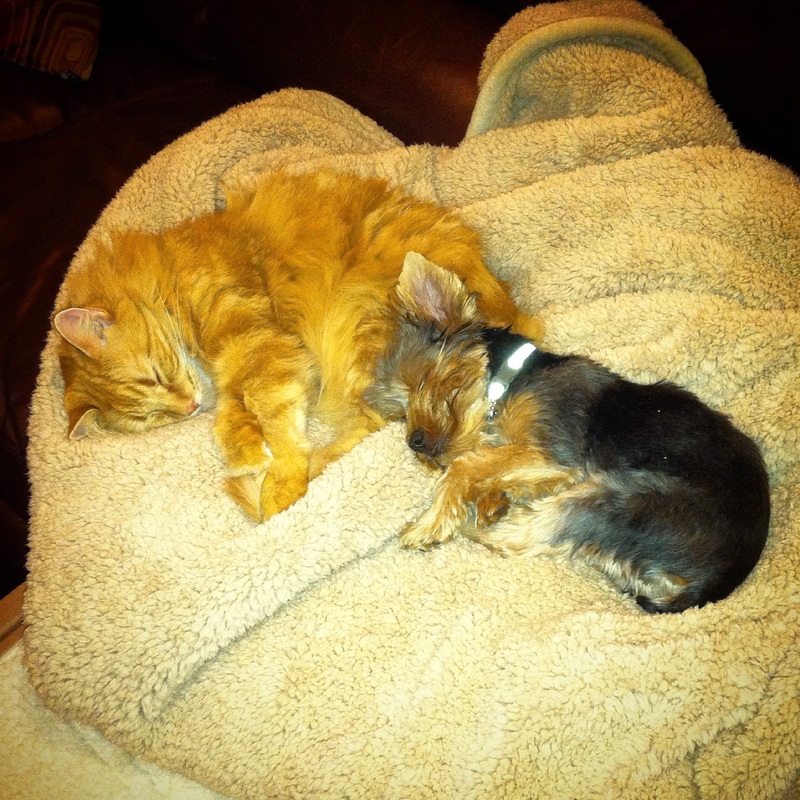 But everything did work out, and a few weeks later, I went to pick up a teeny tiny 8-week-old Yorkie who I named Lily. She was so small that I spent the first few weeks terrified I would run her over! She liked the crawl all the way under my wheelchair and just lay down there, since it was a nice safe cozy spot, so I had to make sure that I could see her before I moved! For the first few weeks, we crate-trained her - I kept her in a crate, on a chair next to my bed at night so that I could see her, and put her in the crate during the day while we were all at work. Luckily, my dad's office isn't far from our house, so he was able to stop home at lunch the first few weeks to check on her and let her out. After a month or so, we stopped putting her in the crate, and put her in a little playpen instead. I think that we waited until she was a year old to let her be free in the house while we were at work - we have stairs that we were afraid of her falling down, and also two cats who took quite a while to warm up to her! I absolutely love having a dog - I meant it when I said I cannot imagine my life without her! But it really does change a lot. It's not only the training... it's scheduling your day around your dog! There are no more impromptu happy hours that turn into long dinners, because you have to make sure the dog gets let out and fed. When you're planning a trip, you have to make sure you have someone to take care of your dog, or that you have somewhere to take your pup while you're away! To me, though, these things are totally worth it.